Googling his name did not yield many results so I will have to share with you the photo provided by Rich Custer and also the one I found in a Ukrainian article on his work. 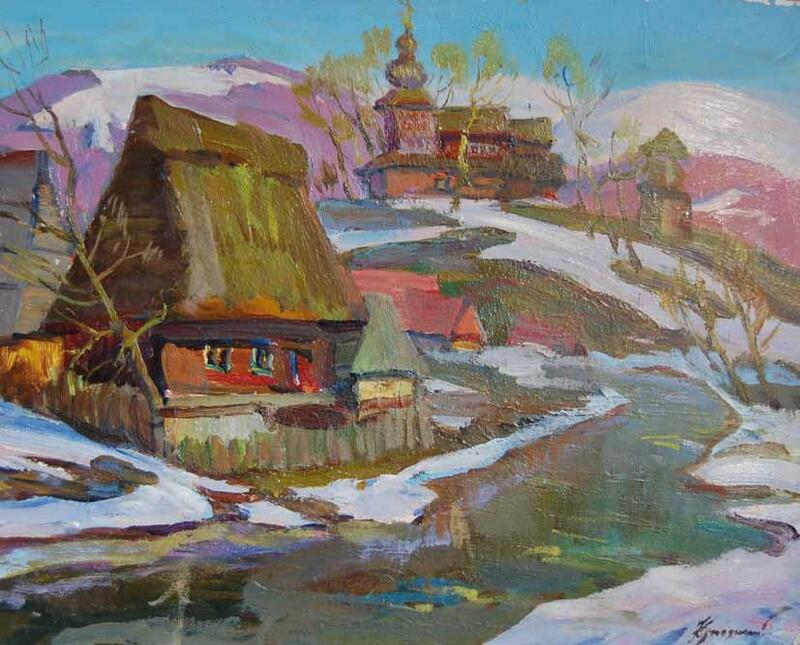 Kupetskiy was not a Carpatho-Rusyn, but he traveled often to the Carpathians to join the plein airs there, capturing the land and people. A painter and a sculptor, he was born in 1942 and died in 2009. His childhood and life were not the easiest ones. He was born into a raging war that took his father away. As an adult and a maturing artist, he disliked the communist regime and never made a fit with it, never made a living out of it because his art did not serve the Soviet propaganda. Good for him! Instead, he devoted 35 years of his life to what people needed – a true art – decorating over 40 churches with murals and sculptures. His work emanates the deep love for his homeland and the unique natural surroundings. His son, Vladimir, followed his father’s footsteps and became an artist himself.